Renesas' YSTBS1JAE10 Synergy S1 series MCU development kit is designed to deliver high-precision analog capabilities. The S1JA MCU provides programmable, flexible, and fully integrated analog functions, allowing CPU customers to explore algorithms that maximize application performance. 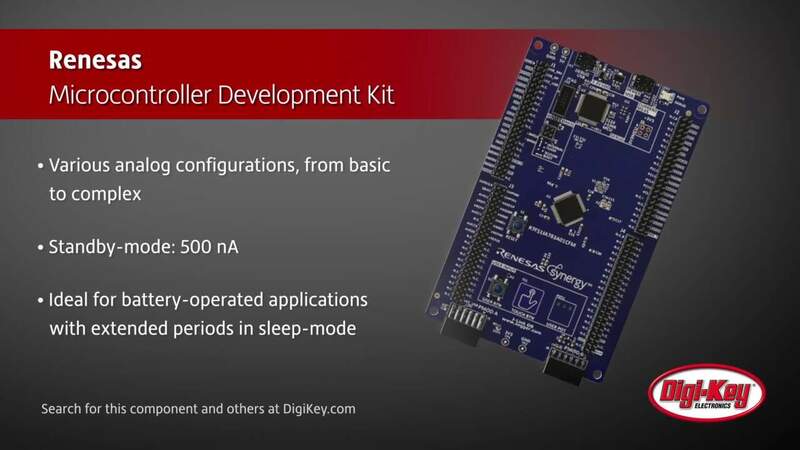 The kit was developed from the ground up to provide analog capabilities including high-accuracy, analog-to-digital converters (ADCs), rail-to-rail, low-offset op-amps, and fast response digital-analog-converters (DACs) which eliminates the need for external components. The various analog configurations range from basic analog functions to more complex analog blocks. They are enabled by internal, highly configurable analog fabric. The industry-leading software standby-mode consumes only 500 nA which highly benefits battery-operated applications with extended periods in sleep-mode.